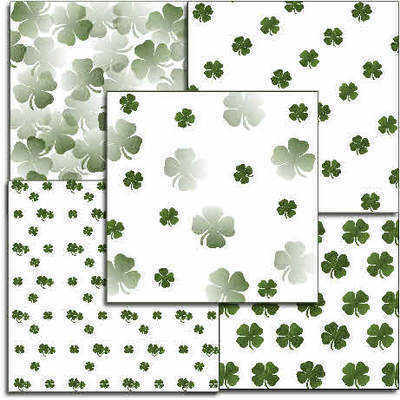 Five clover backing papers for St Patrick's or Good Luck cards. Each paper is 6" square. Irish circle stamp, Happy St. Patrick's Day!